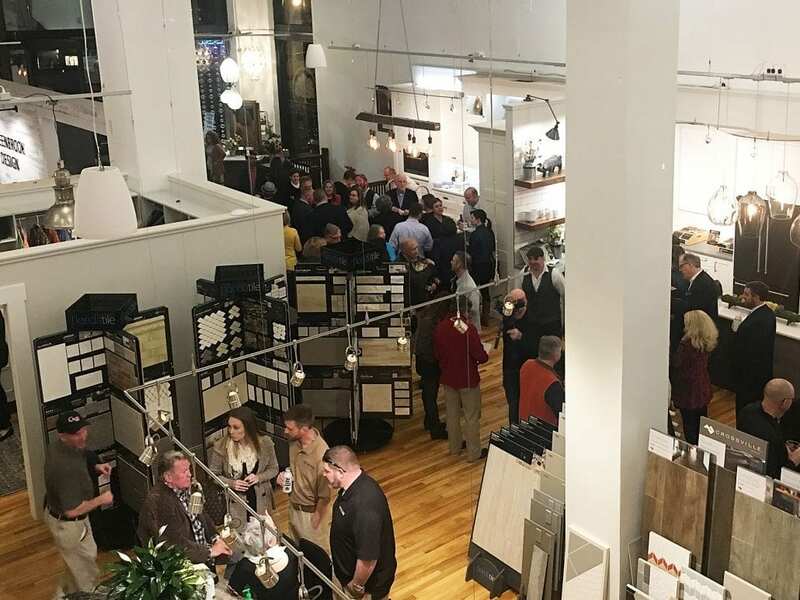 With business growing, the need for a showroom became evident. Planning began for what it should look like, what it should accomplish and where it should be. The hunt had begun! 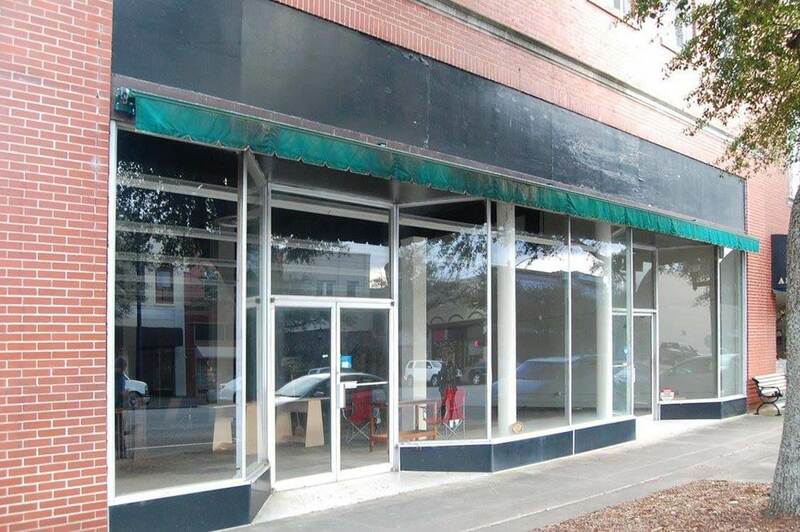 We toured the historic 1929 Campbell Building located at 112 N. Lafayette Street in Shelby, NC and fell in love! Stacey created a meaningful logo in the form of an oak tree which represents the first project Travis built a crib for his first child and a hutch. It also represents his grandfather’s roots and new growth! Our renovation journey begins and we had many adventures that started with the basement! And so the move in process began while we also saw a limited number of clients. Partnering with Uptown Indigo, we welcomed 500 guests to our grand opening gala. Our featured guest was Brian Patrick Flynn, a celebrity designer who has been featured on the HGTV channel. 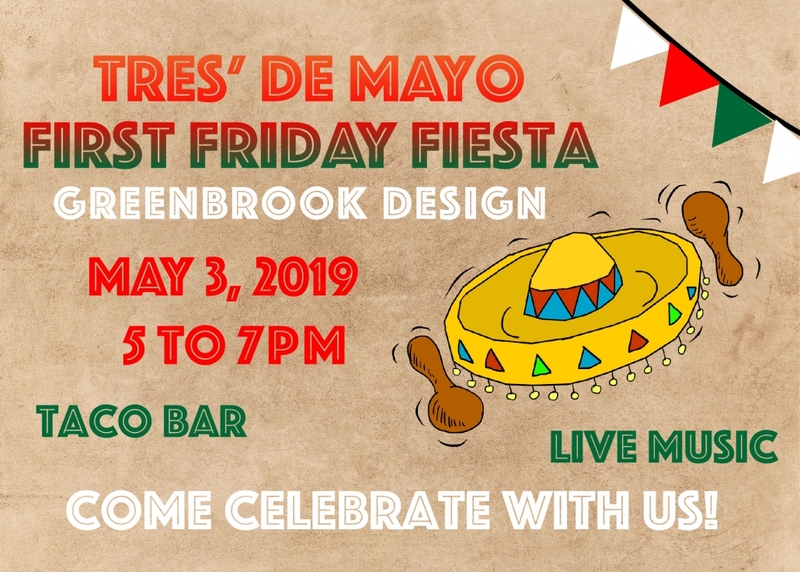 Greenbrook Design Center became an idea of Stacey & Travis Walker in 2014. The business was growing, which also meant the number of employees was increasing and the office space was becoming… well, let’s just say a bit tight! It was time for more space in all areas of the woodshop. After searching numerous locations in Shelby, nothing seemed “just right.” So the project was reluctantly put on hold until the search could continue. 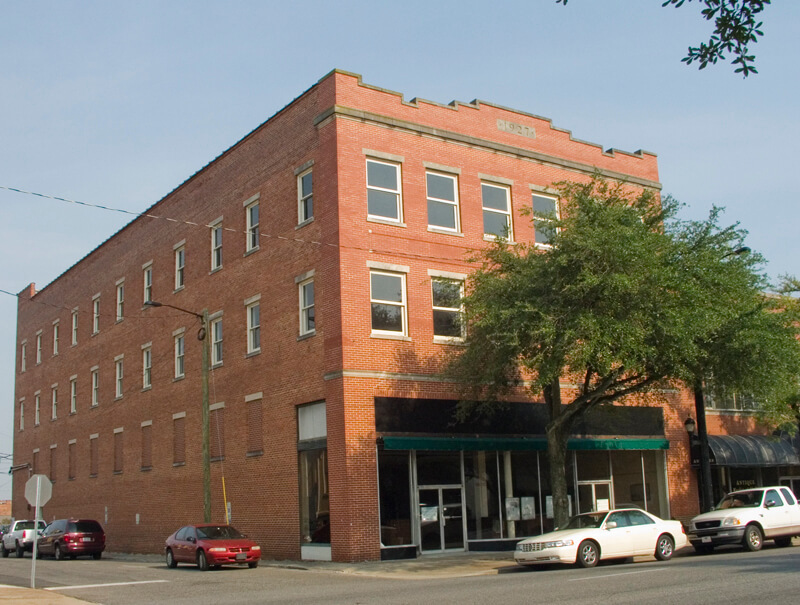 In the fall of 2015, Stacey and Travis were approached by an acquaintance to look at the old Campbell building built in 1929. Upon entering the building, Stacey had a vision immediately and began to put a plan in place. After a lunch meeting uptown, Stacey & Travis announced that they had a site visit planned for the design team (Jan, Brandon & Marie). A short walk around the corner led them to the Campbell building in uptown Shelby. Without hesitation, everyone agreed. It didn’t take long for the questions to pop up! How do we brand the showroom? What’s in a name? What will we offer to our clients? Discussions of the pros and cons were debated, but decisions had to be made to move forward with the showroom. The group of excited business owners and employees didn’t even realize that through the debate they were actually progressing towards a name! It was determined that branding a new name along with a new location would be beneficial to grow the business. 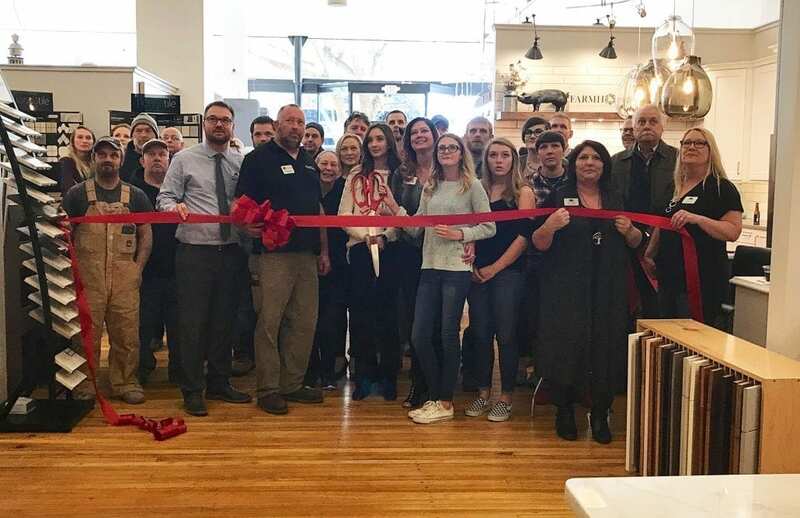 Travis was reluctant at first, knowing how hard he had worked over the past 20 years to brand “Walker -Woodworking.” He reminisced all that inspired him to get started in the business in the first place. His very first inspiration was an old oak tree planted by his grandfather. Rather than burn the tree for firewood he wanted to craft a furniture piece as a remembrance of not only the tree but the family land it had grown on. Travis built a crib for his first-born daughter and a china hutch for Stacey. Both are treasured pieces. 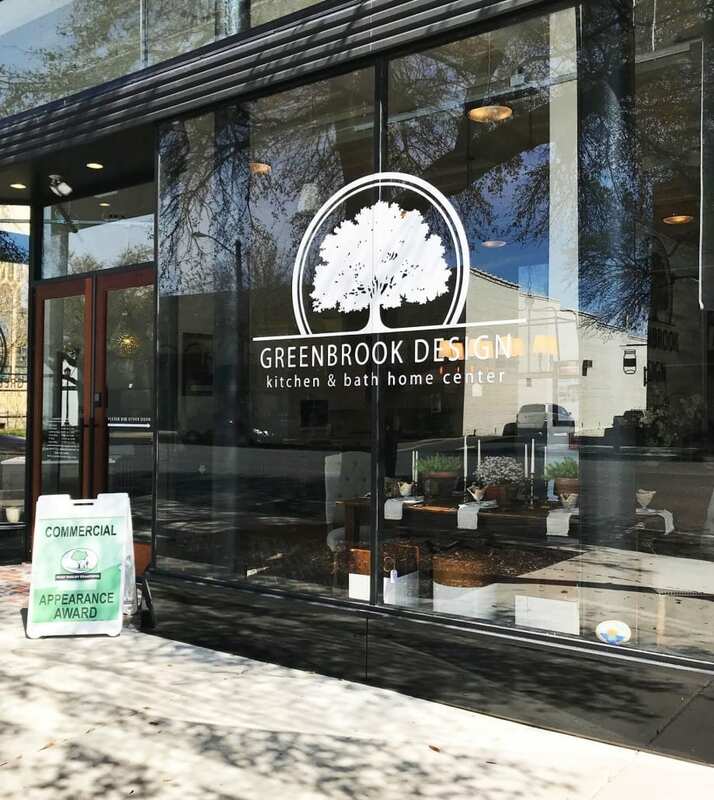 It was in the reminiscing that Greenbrook Design Center was developed. Greenbrook is the physical address for the home place and location of Walker Woodworking. It seemed fitting to tie the two together. Now that we have a name, we need a logo! Stacey created this meaningful logo to bind everything together. The logo, an oak tree, represents the first project Travis built. It also represents his grandfather’s roots and new growth! A tree can only stand tall with deep roots to support it – Travis and Stacey are the fourth generations of relatives to live on the Greenbrook property. Interesting enough the Celtic Meaning of the Oak Tree also agrees. The oak is considered a cosmic storehouse of wisdom embodied within its towering strength. Ancient Celts observed the oak’s massive growth and impressive expanse. They took this as a clear sign that the oak was to be honored for its endurance, and noble presence. In our showroom, we want to encompass the five senses (sight, taste, hearing, touch, smell) all of which will provide our customers a unique experience as well as embrace technology. A virtual tour of sorts, just in real time! 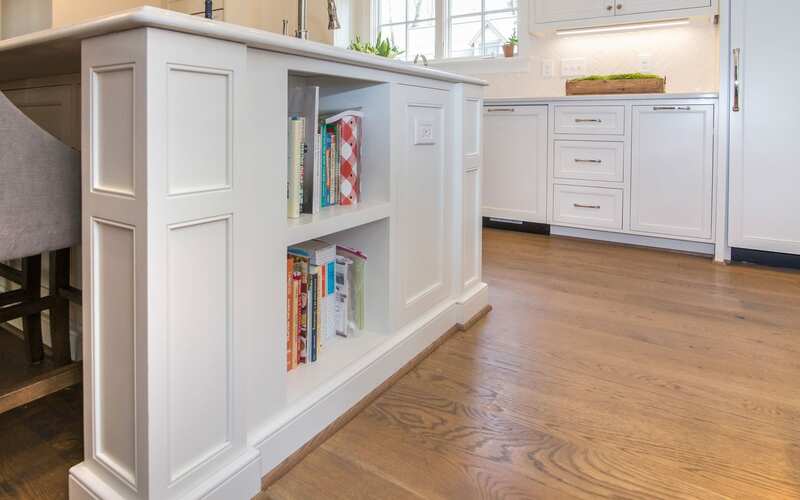 Our experienced staff and a state-of-the-art showroom will offer designs, ideas and everything you need to bring your dream of a new kitchen or bathroom to life. It is our personal goal to provide every client with a design experience tailored specifically to their individual needs. We understand the desire to have differences in opinions and styles, actually, that is what drives our creativity! In 1928 construction began on what would later be home to several businesses. Campbell’s department store would be the first to occupy the building and a furniture store would be the last or so it was thought. This building has stayed in the family and been passed down through five generations. In 2014 the historic building would transfer ownership outside the family for the first time to Angela and Cliff Franklin. They currently own and operate Uptown Indigo, an elegant event venue, located on the top two floors of the Campbell building. Preservation of the historic elements of the building was important to both the new owners and to those of us at Greenbrook Design. One such example is the flooring that can be seen below. The original floor was comprised of maple, pine and oak. There were many options laid on the table concerning the type of stain that should be used including Stacey Walker’s favorite, a light gray. But in the end it was decided that they should use a natural stain in order to stay true to the integrity of the beloved old building. Ceilings also played a factor in honoring the beauty of the Campbell building. Most showrooms have their ceilings painted black which adds a sense of drama but doing that here would have lessened the connection to the past contained in the ceiling. The design and detail encompassed in the high ceilings were meant to be admired by all. By choosing to paint them white instead of black the elegance was kept while drawing the eye upward. Now that much of the interior design choices were finalized, thoughts turned to the exterior namely, the front doors. Because the windows were so tall it was felt that the doors needed to match in height. The doors, a total of four, were made by Travis Walker himself with just a little help and are sure to be a source of pride and joy in the years to come! With each new installation completed the anticipation of move in day grew. It had been such a long process yet seeing it all come together made the numerous bumps and obstacles well worth the effort. There were several kitchens installed along with a closet, a living room and several other functioning spaces. After two long years the day everyone had been dreaming of arrived! It was a moment to celebrate and that is exactly what we did. Along with our friends from Uptown Indigo we hosted a grand opening gala which saw nearly 500 people in attendance. It has been quite the journey, one we will always remember!